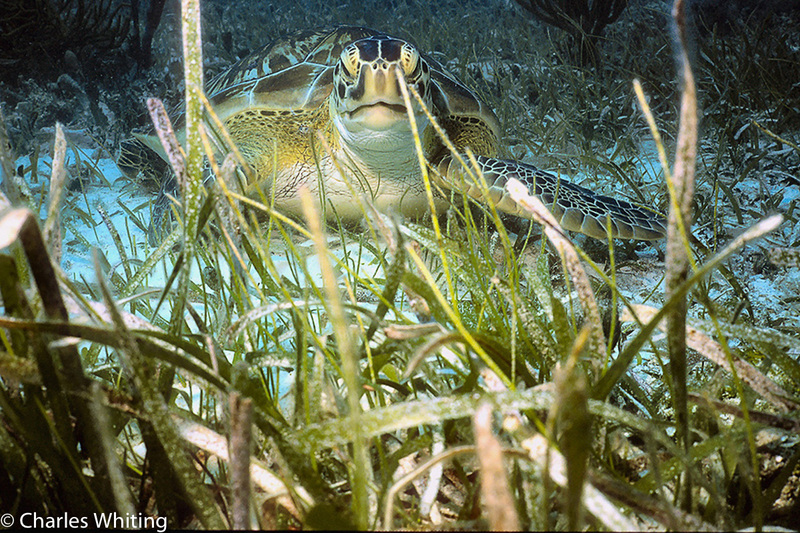 A Hawks Bill turtle browses on vegetation growing on the sea floor. Cay Sal Banks, Bahamas. Photo © copyright by Charles Whiting.